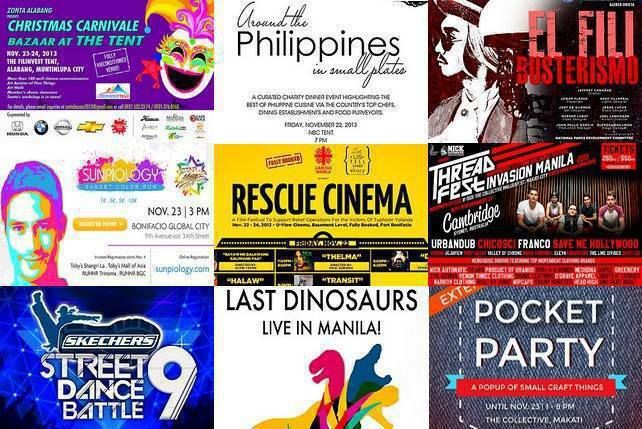 Carlos Celdran lists 10 great excuses to go to Intramuros for this exciting street fair. 1. It supports pedestrianization. In order to create a smaller carbon footprint for our city and alleviate air pollution, walking is the way to go. Intramuros Pasyal hopes to show fellow Manileños that walking is not only good for your health and the environment, but also a possibility in this city called Manila. 2. It supports relief efforts. Intramuros Pasyal gives away free space to any charity or non-government entity that promotes relief efforts or any advocacy that aims to make the Philippines a better place..
4. It supports start-up businesses. Intramuros Pasyal gives priority to small businesses that are just starting out. Our space rental is perhaps the cheapest among all of Manila's bazaars and markets in order to increase the profit margin of new enterprises. 5. It's not the mall. 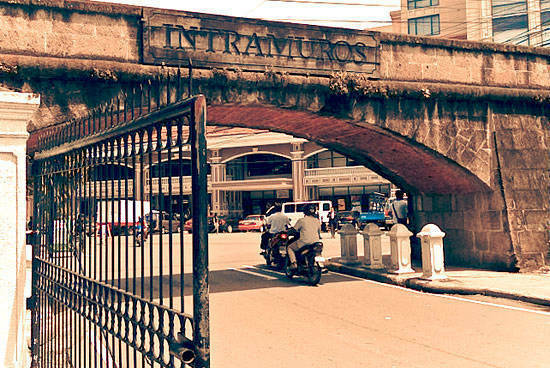 Intramuros Pasyal believes that there is more to Manila than controlled environments and commercial spaces. Streetsides, plazas, and parks show the true soul of a city and the Pasyal hopes to showcase just that. 6. It's all about heritage. This street fair is set in the most beautiful area of Manila: Intramuros. Enough said. Isn't that more fabulous than going to some street fair set in a parking lot? 7. It's for the children. Intramuros Pasyal has street performers, pop-up playgrounds, and street food, everything you need to keep the kids entertained in a creative way. There are also kalesa rides and museums to show your kids just how interesting Manila's heritage sites can be. And for the street kids, Intramuros Pasyal has coordinated with a foundation to provide streetside educational programs. The children are our future. Pasyal firmly believes in that. 8. It's for lovers. Cap off the Intramuros Pasyal with a stroll through Luneta and catch the sunset at Harbourview by the Quirino Grandstand. Cheesy, we know, but sometimes cheese can be good for the soul. 9. It's for friends. Cap off the Intramuros Pasyal with dinner at Lucky Rainbow on Gandara Street in Chinatown and cocktails on the roof of The Bayleaf Hotel. Just make sure that there's a designated driver. Either that, or bike there with your buddies. 10. It's for a better Manila. Intramuros Pasyal's main objective is to show fellow Manileños just how functional, creative, beautiful, and inspiring a city can be. Right now, it's a car-free Sunday in Intramuros every other week, but soon we hope to have a car-free Sunday every week with the ultimate goal of having a car-free Manila every day. For more information and vendor inquiries, check out the Viva Manila Facebook page or email vivamanila1@gmail.com.